Aloe vera plants are semitropical succulents that are native to Africa. Most people grow aloe plants in containers, setting them outside during the summertime and growing them indoors during the cooler months. Aloe vera plants are prized for their liquid-filled leaves that are used for different medicinal purposes, such as treating burns. Aloe vera plants require repotting once every year or two. Wait until the aloe vera’s roots fill the planter pot before repotting it. The aloe plant can become root bound, so the best time to repot your aloe is when the plant becomes top-heavy, meaning that the pot’s weight isn’t sufficient to support the plant itself. Select a new planter pot that is at least 1 ½ times wider than the current pot, not necessarily deeper, because aloe vera plant’s roots grow shallowly and spread. Ensure that the pot has drainage holes in the bottom. Spread a 2-inch layer of small gravel in the bottom of the new pot. Fill the planter pot with a cactus potting mix or an all-purpose potting soil mixed with coarse sand or perlite. Remove the aloe plant from the old pot carefully. 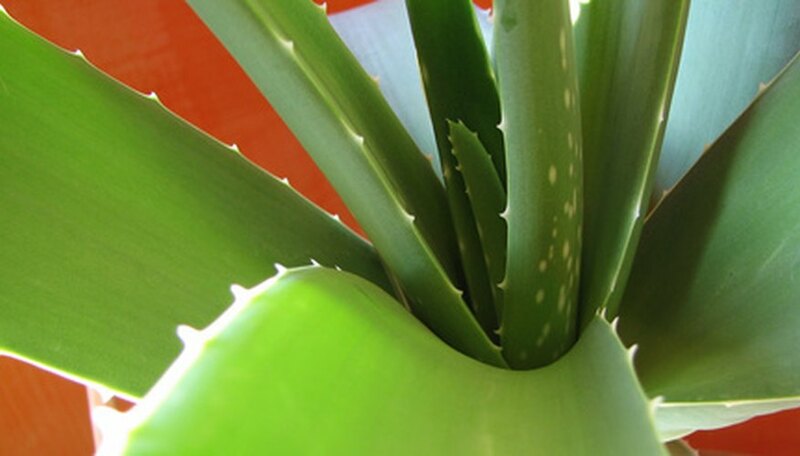 Loosen the outer roots of the aloe vera if they’re tangled or compacted together. Plant the aloe vera into the new pot’s soil mixture at the same depth as it was planted in the old pot. Pat down the soil around the plant and water the soil mixture generously until the water drains freely from the bottom of the pot. If there are any baby shoots, or "offsets," growing around the base of the aloe plant, you can plant these into individual pots or plant them into the same new pot as the mother plant. Don't allow the offsets to remain with the mother aloe vera plant if they're more than 4 to 6 inches tall. Replant the larger offsets into individual pots so they don't steal nutrients and water from the mother plant.